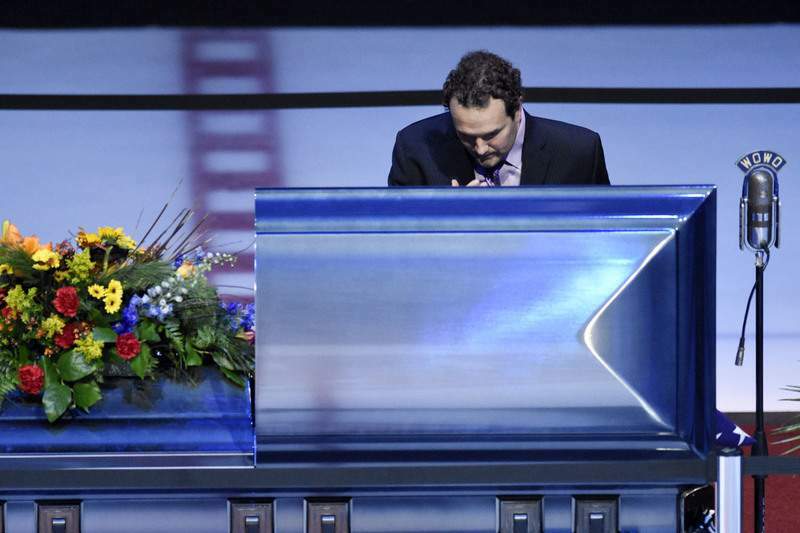 Chase’s casket rests at center ice for Tuesday’s viewing. 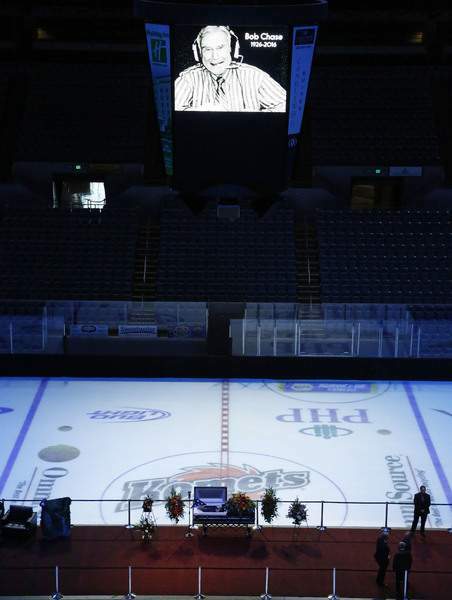 Chase, who called Komets games for 63 of their 65 seasons, died early on Thanksgiving at age 90. 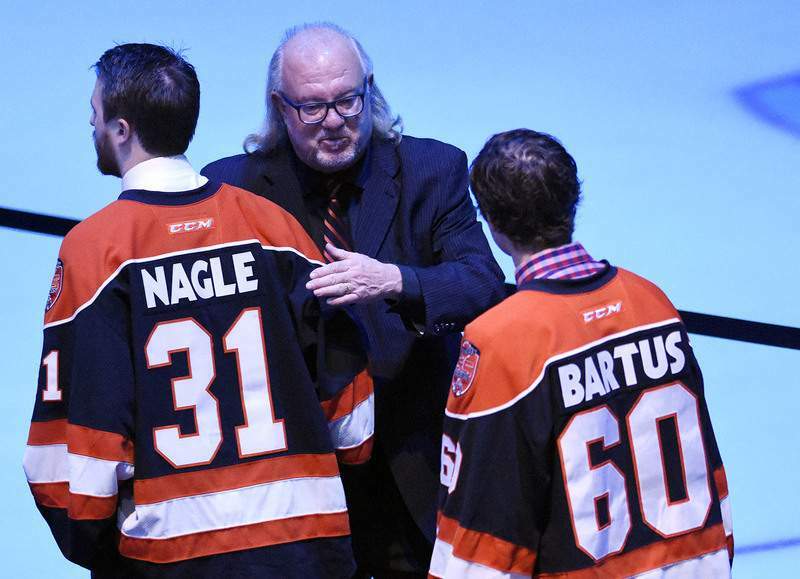 David Franke, center, the Komets’ general manager and co-owner, greets goalies Pat Nagle, left, and Garrett Bartus as they walk out for the viewing. 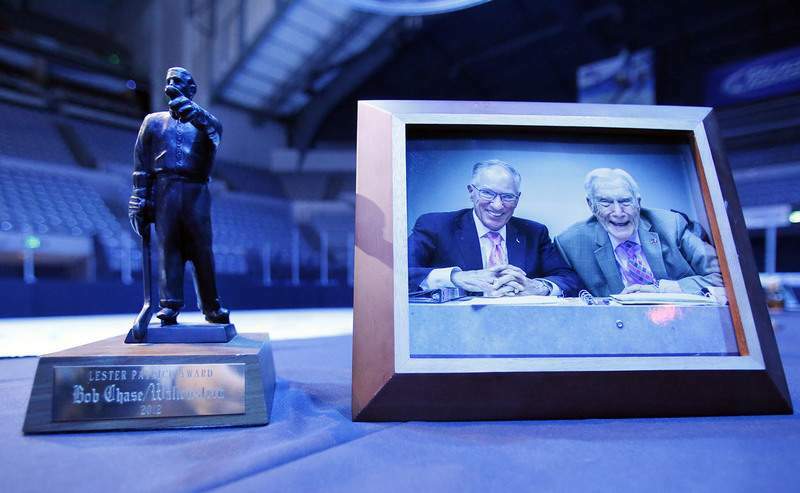 The Lester Patrick Trophy stands next to a photo of Mike “Doc” Emrick, left, NBC’s NHL hockey announcer, and his mentor, Chase. Only Vin Scully of the Los Angeles Dodgers, who retired this year, had a longer career than Chase. Komets coach Gary Graham pays his respects to Chase, who died of congestive heart failure. Chase was the team’s general manager in 1989-90. An old WOWO microphone stands next to the casket during Tuesday’s viewing. 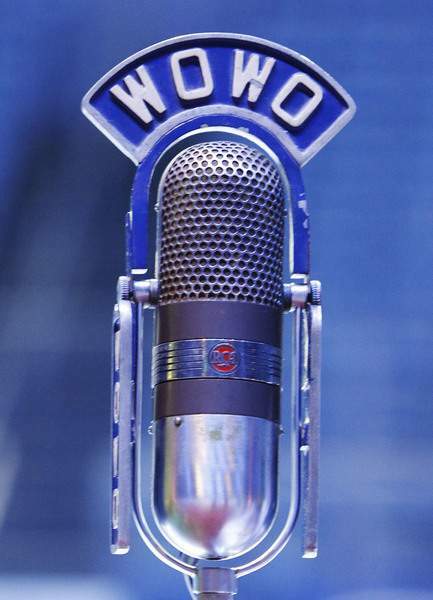 Chase worked at the WOWO studios for 56 years. 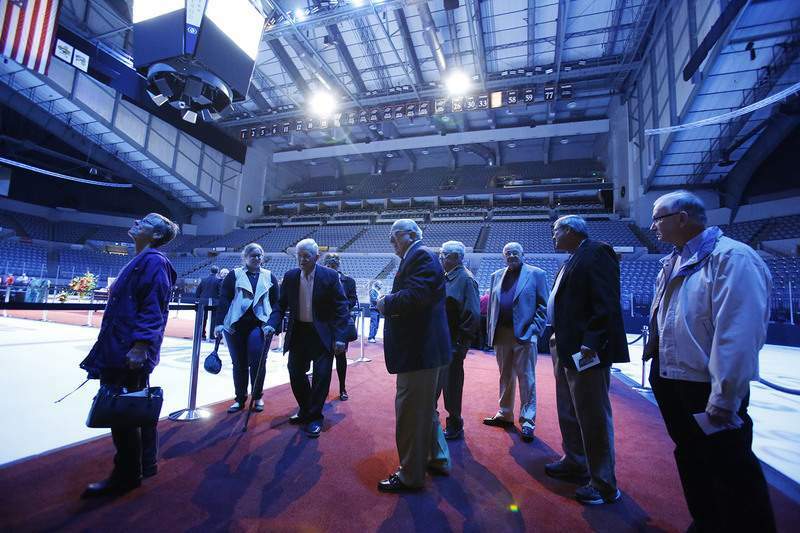 Former Komets players, friends and family members walk through the line during Tuesday’s public viewing. 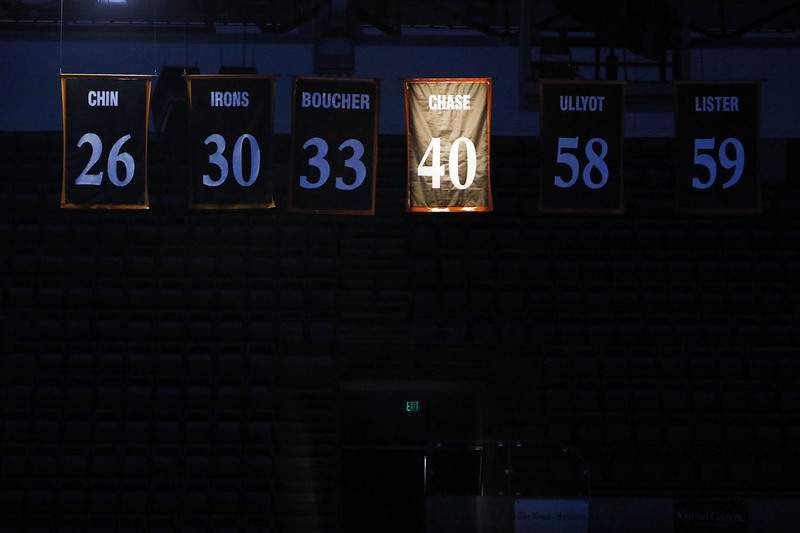 Photos by Chad Ryan | The Journal Gazette Bob Chase’s banner is lit by spotlight during Tuesday’s public viewing for the late Komets radio broadcaster at Memorial Coliseum.